The Supreme Court has held that parties may not be compelled to arbitrate claims on a class-wide basis unless there is a “contractual basis” for concluding that the parties have “agreed to” class arbitration. Lamps Plus concerns an arbitration agreement that does not mention class arbitration, but that the Ninth Circuit nevertheless interpreted to permit class arbitration based on what it asserted were principles of state contract law. 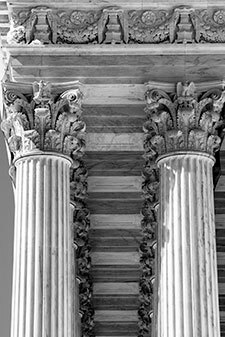 The Supreme Court granted certiorari to determine whether the Federal Arbitration Act forecloses a state-law interpretation of an arbitration agreement that would authorize class arbitration based solely on general language commonly used in arbitration agreements. Mayer Brown represents petitioners in this case.